In Yemen, Jews and Muslims live aide by side- but not always peacefully. The Muslims have decreed that any orphaned Jewish child must be adopted by a Muslim family. Adela, the only child of a sickly cobbler and a mercurial mother, lives in fear of the Confiscator taking her. In hopes of preventing forced adoption, she is engaged to her cousin Asaf when she is just a child. While she plays at being married with Asaf, she also enjoys the companionship of her childhood friend Binyamin. Adela is still a child when Asaf leaves on a long journey….and other long-lost relatives arrive. Adela’s aunt Rahel and cousin Hani introduce her to the world of henna, prized by Jews and Muslims alike. Henna is often used to decorate brides and is a ritual of beauty that women can share. For Adela and her relatives, though, it becomes something much more complicated- a secret code, a battle ground, a safe place, and a way to change their fate. 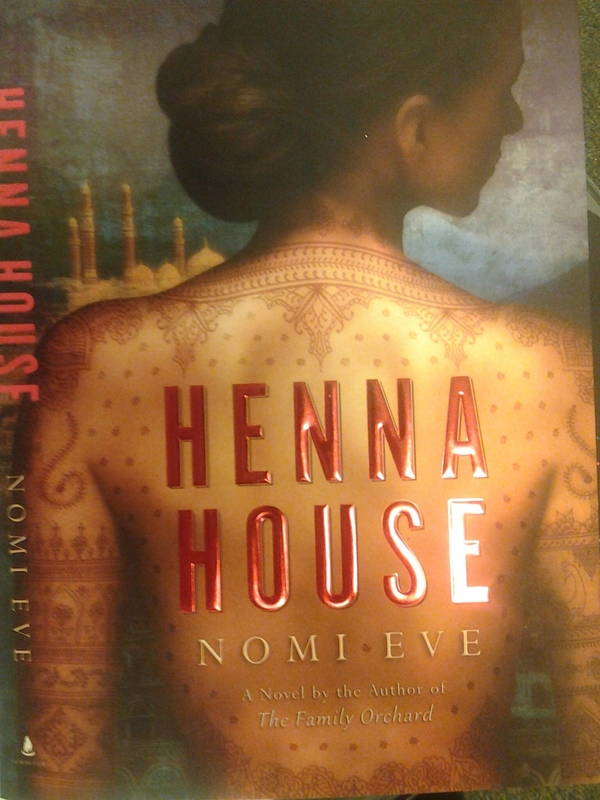 Henna House is one of the best books I’ve read about female relationships in years. Every mother, aunt, sister and cousin is a vibrant character. The story doesn’t shy away from the injustices that face women around the world, but it gives them strength and beauty. I also liked Adela’s honest narration of her childhood. From time to time she recounts what she remembers, and then balances it with what an older female relative remembers. And isn’t that an honest take on memory?! Henna House is about the lives of women, their loves and their relationships. When women are oppressed (because of their gender, religion, race, or marital status) they still find ways to influence and shape the story of their people. They communicate in any way possible- even in henna. You might like: The Red Tent, Diamant. The Pearl Who Broke Its Shell, Nafisi.